It is always a great tragedy when someone loses their life way too early and when there is so much more for them to live for and to achieve. The tragedy is even greater when the person who dies is one who has inspired others with their brilliance and gifts. 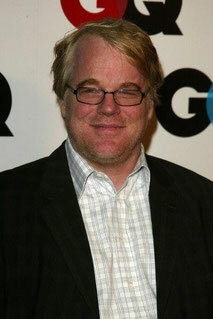 Philip Seymour Hoffman was one of the great actors of our time and was nominated for many awards for in his field. From the preliminary evidence and reports as to the cause of his death, it would appear he too joins the ranks of those great artists whose life was cut far too short due to a problem with substance addiction. For those of us who’ve worked in the field of substance use addiction, it is always heartbreaking when we see those who’ve got so much potential or so many positives in their life, fall short of their potential or lose what they have. It is horrifying to watch someone spiral down in their life to lose their careers, family, health and in some cases their life. It can be a mystery to others as to what leads a person to seemingly choose a substance over the wonderful tangibles in their life and what we on the outside can sometimes only dream of. Addiction to substances is often a complex mix of biology, social environment and development. What leads to addiction can consist of not only what we come into the world with such as our genetics and family history; but can also include how we are impacted by the environment we are living in and what we are exposed to. It makes sense that like other health issues, some of us are more predisposed to some health issues than are others. It also makes sense that we are further affected by what is happening in our lives, those around us and our ability to deal with what we are presented with. In working with those who have substance use issues, it is clear that while we are all faced with life challenges, people vary in their emotional resiliency and comfort level when seeking support or assistance. There are other factors when looking at how others may be impacted by substance use addition. Some of us, due to how we were raised, or in what we’ve learned in our life; are more apt to express ourselves to others and seek help when under duress. None of us want to feel ashamed of ourselves or incapable of managing our lives. However we all at one time or another need to seek support or the expertise of those in the health field. When we have need dental work we go to a dentist and when we have medical problems we go to visit a doctor. 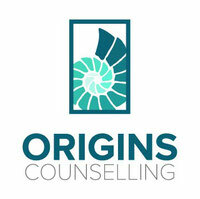 Psychological help still has some stigma attached to it, in spite of our attempts to normalize the counselling process and for us to promote psychological health. Some people, perhaps because of their background may not seek outside supports or to talk about their problems. They may have grown up with a belief that one needs to deal with issues on their own and to seek psychological support is an admission of weakness or failure. Much of what leads to serious addiction we don’t have control over. We may be pre-destined towards addictions due to the biology and social environment we grow up with. We may also have no control over some of the stresses, tragedies and experiences we may encounter in our life. The one thing we do have some control over is how we tend to deal with that which we encounter and whether we make use of supports and resources when we need them. The death of a talented person who has touched so many of us is a reminder that we all struggle at times and all need to seek the support of others. It is a reminder that even the most gifted of us are human and can stumble and fall. I've been in private practice since 1990 and have helped lots of individuals who describe substance use as a major issue in their lives. You can read more about my work here. Hi there would you mind letting me know which webhost you're working with? I've loaded your blog in 3 different internet browsers and I must say this blog loads a lot quicker then most. Can you recommend a good hosting provider at a reasonable price? Cheers, I appreciate it! Hey there would you mind stating which blog platform you're working with? I'm planning to start my own blog soon but I'm having a hard time deciding between BlogEngine/Wordpress/B2evolution and Drupal. The reason I ask is because your layout seems different then most blogs and I'm looking for something unique. P.S Apologies for being off-topic but I had to ask!